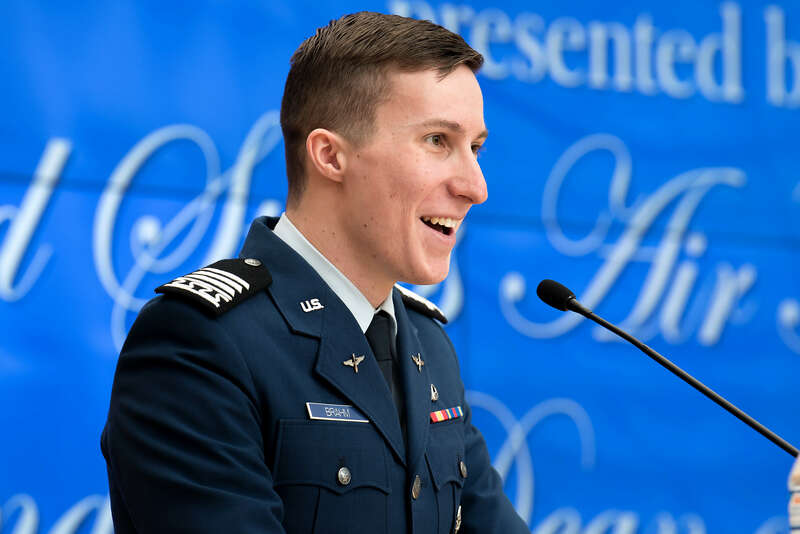 U.S. AIR FORCE ACADEMY, Colo. — This year’s research programs at the Air Force Academy were funded to the tune of $40 million and that cost is paying off in dividends, said the dean of faculty at the school’s research awards ceremony, Jan. 29. “The efforts of our cadets and faculty researchers complement everything we do in the classroom,” said Brig. 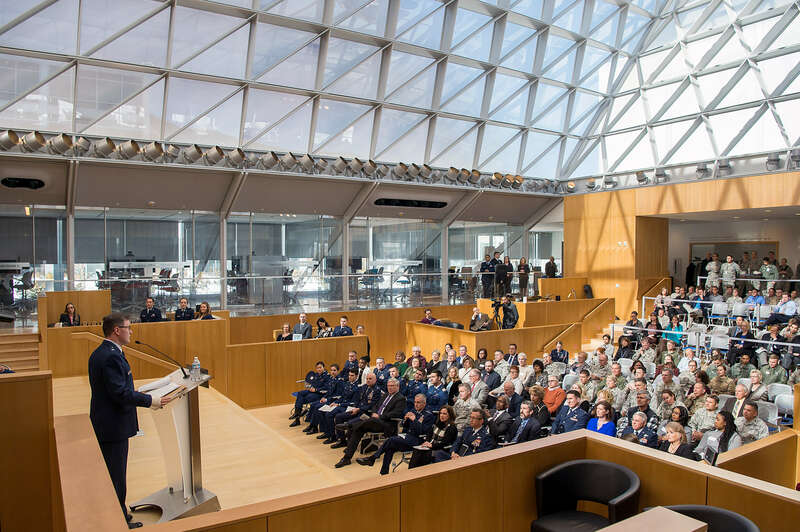 Gen Andrew Armacost during the ceremony in Polaris Hall. The awards ceremony celebrates the research of faculty and cadets, which continues to advance science, technology, engineering and mathematics across the Defense Department and in the public and private tech-transfer sectors, Armacost said. Research is the “process of wonderment” Armacost said, and while that process is often unpredictable, it teaches cadets to plan, persevere and to accept failure gracefully. “These are all characteristics we expect all our officers to have,” he said. Guest speaker Vance Brown, CEO of the National Cybersecurity Center based in Colorado Springs, said the effort behind Academy research might seem overwhelming at times, but cadets should remember the importance of their work, particularly in the cyber realm. Cadets and faculty research is invaluable because it helps solve real-world problems, particularly in the cyber realm, he said. Brown recalled being told by retired Air Force Gen. Michael Hayden and retired Army Gen. David Petraeus, both former CIA directors, that the most dangerous domain the military will contend with in the looming future is the cyber realm. Cadet 1st Class James Brahm, this year’s overall research awards winner, is a computer science major with a double minor in nuclear weapons and strategy and Mandarin Chinese. He’s been selected for a Rhodes scholarship and will attend Oxford University later this year to study theoretical computer science.